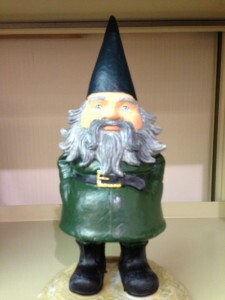 This is Jerome, the library gnome. 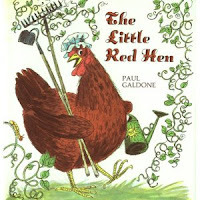 He has been hiding around the Children’s Room this summer as part of the ‘Dig Into Reading’ theme. Kids who find Jerome tell a library staffer, then get a prize from the treasure chest. A lot of kids have found Jerome, even though he moves around every day. Sometimes it’s a very tricky search. Some kids come into the Children’s Room and look for Jerome before they do everything else, so Jerome has agreed to keep up the game until the end of August. Come see if you can find him! Hopefully you know about Summer Reading Club, that wild, busy, fun time for the library. But what about May? In the Children’s Room we spend May helping people as always, but also cleaning out closets (maybe!) and the big May thing… CLASS VISITS. We love ‘em! Every visit is different somehow. Some even involve the Indiana Room or a wander through the art gallery upstairs, but here’s a common pattern. “Hello! Let’s get started! Who has been here before? Who has not? Glad you’re all here today. Time for a short tour, follow me! There are the beginning reader books, there are the computers. Did you know we have board games? Who has gone to a library program in this activity room? You can use our textbooks for homework if your forget your at school. This is our new and amazing Art Zone, peek in!” And so on. Usually we read a short, rollicking, story. There’s a pep talk about the great programs planned for summer and we reveal the newest Summer Reading t-shirt (get them while they last! Hint – this year the shirt features an upside down mouse.) Some classes look around or play with the giant caterpillar, train table, or puzzles. Others bring library cards, so they can pick some books to take home. Time runs out, so we meet on the zebra rug to say goodbye with invitations to come back any time, while peeking to see if the next class is already lining up outside the doors. 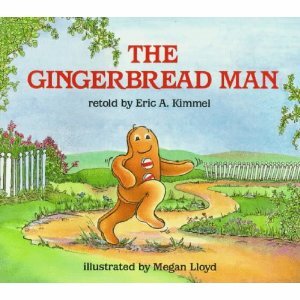 What’s your favorite holiday book to read as a family? Need some ideas for holiday books to read together? Have you ready any of these books? Add your favorites in the comments below! Yes, the economy counts on Black Friday spending these days. I know we’re all ‘supposed’ to want More, More, More and to give friends and family dazzling mountains of new stuff every Christmas. We just don’t need a lot more stuff. I pass no judgment on people who love shopping. I know some wonderful people who love Black Friday and plan for this day way in advance. Some of them start before dawn, and that’s okay with me. The day after Thanksgiving I am not scheduled to be at work. To me it’s the start of the Christmas season but hopefully I can stay out of all stores. I anticipate sleeping in a bit. Maybe we will make omelets and go to the Rec. Center to work them off. Then we’ll get out the Christmas music and tree, possibly even a little cookie baking. That sounds great to me. Every Child is an Artist! 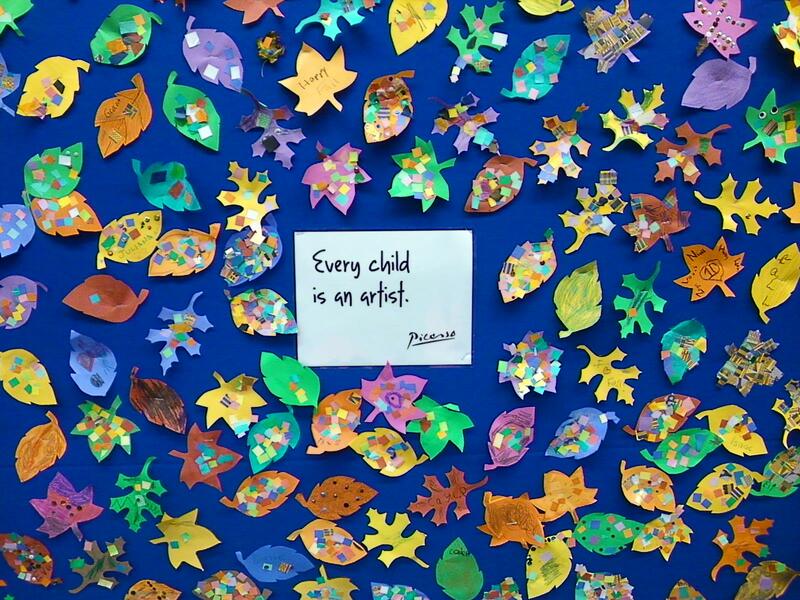 There’s an art wall by the project table in the Children’s Room, where kids can always find supplies to sit down and make something creative. They can take their projects home, leave them to display, or make two, one to take and one to display. The projects that go on the table are great for tactile learners and creative kids. They all support one of more of the five practices of the Every Child Ready to Read Initiative of the American Library Association. The leaf project was to decorate a paper leaf with colorful paper bits. It’s amazing how different they were from each other! It tied in with the Writing aspect of the initiative. Picking up the mosaic bits and working with a glue stick helps develop the fine motor skills needed to write, and reading and writing go hand in hand. There’s a lot to do in the Children’s Room these days. When kids visit the library they can CREATE (project table,) DO (crawl through the giant caterpillar, play a board game,) READ (book, magazine,) PLAY WITH (train table, computers,) LISTEN TO (snuggle up with together on a cozy couch,) or ATTEND something (a library program- see what there is for your child!). I finally got around to reading the classic science fiction novel Ender’s Game. In the book, young Ender Wiggin is taken off-planet to a military training school for highly gifted children. At the school he participates in mock battles in the zero gravity Battle Room. He also plays strange and difficult strategy games on his ‘desk,’ something like a tablet computer. When Ender’s Game first came out in 1985 it won a Hugo Award and a Nebula Award. 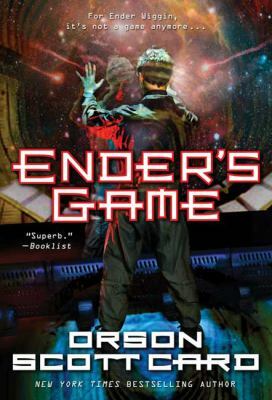 Ender’s Game became the first in a long series of books with sequels, prequels, short stories, Ender comic books published by Marvel, even an Authorized Ender Companion book. Ender’s Game is now being made into a movie with a cast including Ben Kingsley and Harrison Ford. Production has wrapped, and the movie is scheduled to be released on Nov. 1, 2013. You can learn more about the movie from the on-set blog. Or in movie news from Cinema Blend. They’re full of spoilers, though, so if you’re going to read the book, do that first! (Sorry, I didn’t mean to yell.) Ender’s Game is kept in the teen fiction and also the regular fiction section. Of course, feel free to ask us to show you where it is. The first Harry Potter book came out in 1997. Do you think Jo Rowling may have read Ender’s Game and added it to the swirl of influences that created Harry’s magical world? She was 20 when it came out. You can ponder those questions if you like, and leave your opinion in the comments below. 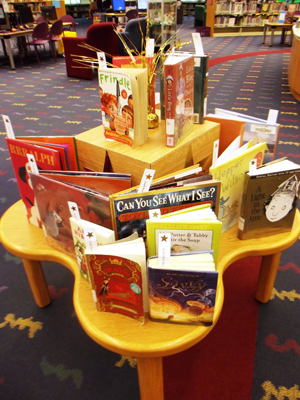 There are a lot of new picture books every year, and competition for sales is intense. Many new picture books are really written to appeal to adults who shop for books, and they are sophisticated, full of references to other things and jokes that kids don’t get. It’s a good marketing strategy and everything. But… first things first. The simple story of The Three Bears is still a new and exciting story to little kids. 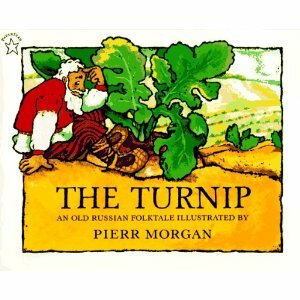 I read it to preschoolers because they really like it. Of course I know what will happen, and I’ve read it a thousand times! Most of the kids have never heard it though, and they don’t know. The Gunniwolf, The Turnip, The Gingerbread Man. 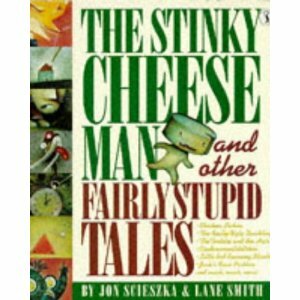 These books are not trying to be clever, they are just simple, interesting stories for kids. They have been around for hundreds of years because they are timeless. 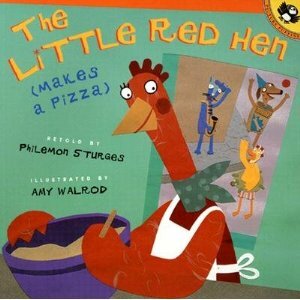 Next read different versions and expansions like The Little Red Hen (Makes a Pizza) by Sturges. and compare the pictures and story. Guess what? Not all versions of The Little Red Hen have the same ending. Sometimes the animals get to share the bread (or cake, or pizza) with the hen and sometimes they don’t. 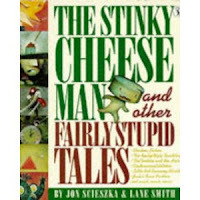 Then go for take-offs or parodies like The Stinky Cheese Man by Jon Sciesza (which rhymes with Fresca.) Your child will have the context to get the joke then. A young child may latch on to a favorite story and choose it over and over again until you think you can’t stand it one more time. Studies have shown that it’s normal and developmentally appropriate. (Ever watched a TV box set or movie more than once? I thought so. Me too.) Don’t worry, the child will move on eventually! 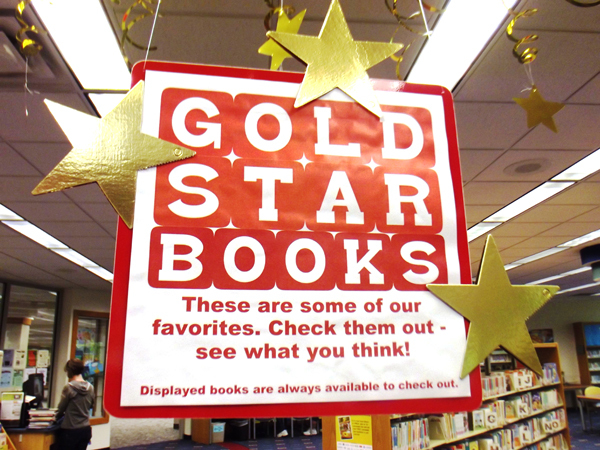 … as if all the gold stars won’t catch your attention! It is stuffed with staff picks. By looking at the bookmark inside, you can see which staff member recommended it. A few of the books won awards, some are our top favorites, and the rest are books that make us say, “Oh, I liked that one, I want someone else to find it!” If you read one, let us know what you think about it! We recently decided to interview Jan’s friend Miss Mary Puppet. Us: Hi, Miss Mary! Let’s cut to the chase. What’s your story? Miss Mary: (waving) Hi back! 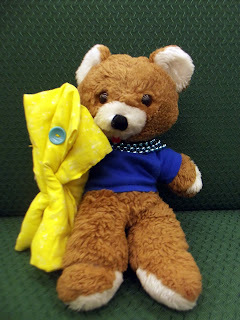 Right now my main thing is helping Jan do the Fabulous Fours & Fives program in the Great Beginnings Series. Us: That’s the Early Literacy series of programs, isn’t it? Tell us about it. Miss Mary: Sure, there are different program series for babies, one-year-olds, 2 & 3-year olds, and 4 & 5-year-olds. Babies are a lot different than five-year-olds, so the programs are different too. The Children’s Room people are always learning more about the best ways to do those programs. You could probably ask them if you want to know more about it. I know it’s educational but it just seems fun to me. That’s the idea, I guess. Us: Interesting! How do you help? Miss Mary: I always start the program by waving or saying hello, it’s a great welcome for the kids who are new. I love it when they wave or say hi back! We all have a little chat about the stories or something about the program. Sometimes I even lead the first song. Us: Sounds fun. Do you listen to the stories too? Miss Mary: Oh, sure. After my part I sit on my special quilt and enjoy the rest of the program. I love it all, especially the stories… and the Dance Along Gong Song at the end. It’s always fun to say hello to new friends. Us: Why do you call your quilt special? Miss Mary: Jan’s daughter made it for me a long, long time ago. It is yellow with buttons sewn on it. Us: Have you known Jan a long time? You seem to work well together. Miss Mary: I’ve known her since… practically forever. I guess I have been helping her for 20 years or more, pretty long. Before that I was a stuffed animal. That was a great job too. Jan bought me at a garage sale, washed me, and took out the stuffing. Then I could finally get a job where I move my hands! Us: Wait, so you have been here for 20 years? Miss Mary: Or more, yes. It sounds like a long time but Jan has been here doing programs for 26 years – and this isn’t even her first library! Sometimes she schedules a vacation for me and sends in another puppet, Zelda or Luna Bella, they like to get a chance too. Us: It sounds like you have a great career at the library. Miss Mary: I sure do. Being a favorite teddy bear and then becoming a puppet… who could ask for anything more? Us: Thanks for telling us about your job, Miss Mary. Miss Mary: Before we are done, can I add a *special hello* to my 4 & 5-year-old friends, and to my older friends who used to come to the programs? Miss Mary Puppet: (waves) Hello! Are you familiar with Miss Mary Puppet? Have you ever been to a program with her or with Jan? Comment below and let us know; we’re sure they would both love to hear of it! But let’s face it, when it comes to picking library books, what the cover looks like is a factor, and it’s hard to know much from the spine! That’s why in the Children’s Room we have put a whole lot of books ‘face out’ to inspire you. If you want help, ask us – we are experts at finding things and pretty friendly, too. If you see a book on display that looks good, of course you can check it out- and 99 of its friends! The Bad Beginning is the first book in the funny and sarcastic Series of Unfortunate Events. 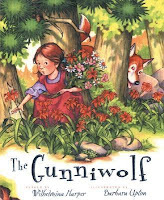 Full of orphans, despicable villains, and plenty of melodrama, this cover doesn’t begin to suggest the humor inside. 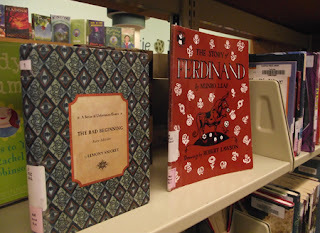 The Story of Ferdinand has been around since 1936 (not this copy.) If people didn’t love it, it would be long gone -like nearly every other book from 1936. The cover doesn’t shout READ ME! but that might be too screechy for this story of a gentle bull who prefers to sit in the shade and smell the flowers.